Page 11 is up. 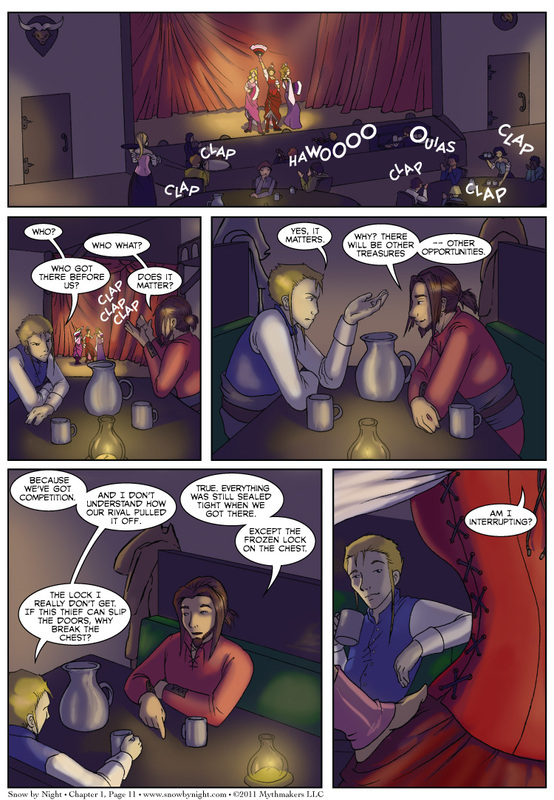 Jassart and Blaise continue their up-to-now one-sided conversation, and another party joins them at the end. I love that last panel Brittany and Ricky put together, and I’m guessing you will too. Now that the new website is up, I’m going to be updating the Almanac on a regular basis. The Almanac gives additional information into the world of Snow by Night that is not contained in the comics. It has always been my goal to update this resource regularly. So starting next Monday, I’ll providing weekly insights into our setting. I hope you enjoy them.